Almost a year to the day since the release of Version 11, the brand-new Version 12 of our email archiving software is now available to download. 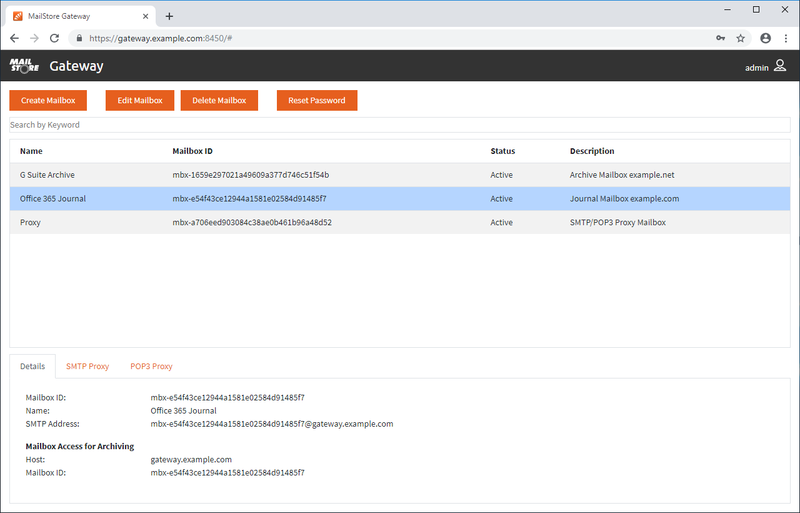 Users of MailStore Server and the MailStore Service Provider Edition (SPE) benefit from increased security through easier handling and, thanks to the new MailStore Gateway, from a new and simpler means of archiving journal emails of cloud services such as Microsoft Office 365. With MailStore V12, email management has just become even safer and simpler to use. One innovation in Version 12 of MailStore Server that is particularly worthy of note is the automated support of digital certificates of the independent certificate authority Let’s Encrypt, which offers digital certificates for Transport Layer Security (TLS) encryption free of charge. With this service, we are providing our customers with a simple means to automatically receive and renew official, trusted certificates so that they can build a safe and secure environment. Where required, MailStore Server can help administrators request and configure Let’s Encrypt certificates immediately during installation. What is more, the software takes care of certificate renewal itself so that MailStore Server always has a valid certificate. Alternatively, administrators can use the Installer to create self-signed certificates or access existing certificates. Should a problem occur with a certificate, for example when the expiry date is approaching, the administrator will be alerted via the dashboard and if applicable in the status reports too. 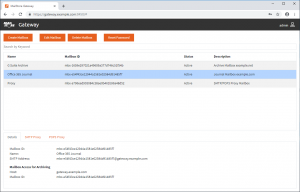 As of Version 12, MailStore Server’s dashboard and the Management Console in SPE will alert administrators to any unsecure outbound connections to email servers or directory services. And from now on, the Management Console can be used to launch SPE instances in safe mode so that configuration errors can be resolved without causing problems during the execution of profiles or jobs, or impairing the user experience. MailStore Server can now also be launched in safe mode. With both SPE and MailStore Server, a secure connection is established by default whenever the Outlook add-in is used. This applies also to the directory services which ensure that secure protocols such as LDAP-TLS or IMAP-TLS are immediately available for new connections set up in MailStore SPE and MailStore Server. All emails stored in MailStore Gateway’s mailboxes are protected by strong hybrid encryption. Data cannot be decrypted without the correct mailbox password. For that reason, we urgently recommend that mailbox passwords are kept in a safe and secure location – an enterprise password manager can be useful in this case. Also, MailStore Gateway does not permit user names or passwords to be transferred via unencrypted connections. For this reason, servers to which connections are established via the proxy function must support implicit (SMTPS, POP3S) or explicit (SMTP+STARTTLS, POP3+STARTTLS) encryption. In response to customer requests, MailStore-integrated users can now opt out of (i.e. deactivate) the password policies in MailStore Server. Thus, as from Version 12, users can choose to adopt less secure passwords – something we would not, however, advise. For safety reasons, we recommend retaining the password policies! When using Web Access from MailStore Server and MailStore SPE, the browser’s language setting is detected and automatically used. Version 12 of MailStore Server and SPE is now available to download from the company website at zero cost for all existing customers with valid Update and Support Service agreements. Customers whose Update and Support Service agreements have expired should renew via the paid upgrade option and also update to the new Version 12. Interested companies might also want to download the version as part of a free, unlimited 30-day trial. MailStore Home can be downloaded from the Products page of our website. Will future version support LetsEncrypt validating via the DNS-01 challenge instead of the HTTP-01 challenge? Our archive server isn’t live on the internet, and I’m not about to setup port forwarding to our archive server either. thanks for your comment. Unfortunately, there is currently no plan to support DNS-01 challenges. We have discussed this, but only a few large domain providers can be used to automatically update DNS records, which is required for the certificate renewals. This would cause huge test efforts on our side, and most SMB customers would probably not be able to use it due to their domain provider not being supported. Can i do an inplace upgrade from mailstore server version 10.1.4.12.522 directly to 12.0.0.14279? Hi Robert, thank you for your message. Please check our “Update Notices for MailStore Server”: https://help.mailstore.com/en/server/index.php?title=Update_Notices_for_MailStore_Server If this doesn´t help you, please feel free to get in touch with our technical support: support@mailstore.com. Kind Regards from our HQ in Viersen, Germany.